Huawei Honor 5x at Flipkart Mobile Store. Honor 5x is one of the best Mobile ever made by Huawei a china manufacturer, This is a premium mobile at a price of Rs.12,999 from Flipkart and Honor 5x have very high configuratons and features compared to other mobiles at this price range. Buy this Mobile from Flipkart Mobile app to get Free Airtel 4G ready SIM. You can also get Rs.5,000 off on this mobile by exchanging your old mobile at Flipkart Mobile Exchange Offer (conditions apply). Use Flipkart coupons to get all these offer by clicking links below. Honor 5x comes with 1 year manufacturer warranty from Flipkart seller store. To Buy this amazing Honor 5x mobile - Click Here. Here are few major features of Huawei Honor 5x mobile. Honor 5x comes with fully laminated 5.5-inch HD IPS Display with is a perfect set up for Gaming, Movie watching experience. Honor 5x Mobile body is so sleek and it is made from diamond-polished aluminium alloy which gives your mobile a royal look. Honor 5x comes with 13MP Primary camera with smart image processor which allows you to click high quality images even on the move. Honor 5x also comes with 5MP secondary camera with 22mm wide angel lens to cover more area and is so great for group selfies. For a seamless and responsive user experience, the honor 5X comes with a 64-bit Octacore Qualcomm Snapdragon processor and with 2 GB of RAM you will never feel less storage for apps. 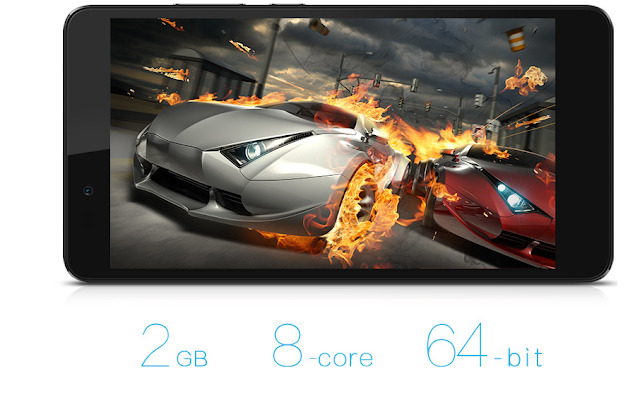 3D games run flawlessly on this device, thanks to its PC-grade GPU. Here is the reason to call this mobile as featured phone, Honor 5x comes with a second-generation fingerprint sensor that offers better performance, provides better accuracy and unlocks your device in just half a second. This Fingerprint sensor is not only used to unlock device but also to call friends, launch apps like flipkart app and others, take photos and access the notification bar control. The mobile comes with 16GB internal storage and can be expanded upto 128GB. The mobile also have two SIM slots one is a Nano SIM slot and a Micro SIM slot. Honor 5x comes with 3000mAh Battery which lasts upto 120 hours of stand by and 27 hrs of talktime which is good compared to other Android mobiles. To Buy this Huawei Honor 5x with Flipkart coupons - Click Here. Coolpad Note 3 mobile is now for just Rs.6,999 see here.